How to wear ripped jeans without looking trashy! It seems like my blog anniversary is always a special day for me. On the day of my two month anniversary, I received an email from Leslie, the owner of My Arm Charms. She showed big interest in my blog and asked if we can work together. As you all know, I just celebrated my 4 month anniversary a few days ago, so I am basically still a newbie to this blog business. But after I saw all of her cute and affordable bracelets online, I decided to give it a try. My requirement is I must use the bracelet first to see if they are good quality. If not, then I will stop our partnership immediately. Leslie was very confident with her products so our journey began in February 2015. Honestly, I didn’t expect anything more than the few bracelet samples that I got. But in that first two month period, we became friends. I fell in love with all the nice and stylish bracelets that Leslie chose for me. She seemed to really pick up on my personal style and fashion. I was also pleasantly surprised in what a nice and professional partner Leslie became! She always helped promote my blog on her own social media platforms. She even joked that she is having fun driving traffic to my blog even though she hopes for more traffic as well! We are both hard working women and maybe that is why we get along very well! Now I am going on a business trip to Atlanta and we already set up a date to meet face to face! I can’t believe it is happening! 1. What inspired you to start a bracelet store? I was standing in Burlington Coat Factory, becoming steadily more frustrated. While the jewelry I was looking at was affordably priced, it was unorganized and with missing and/or broken pieces. When I could find something I liked, it was missing a piece and it was the last one. I just felt like the amount of time spent was wasted. Later, while on the internet, I came across Kitsy Lane. Loved the concept; allowing women to create their own boutique using Kitsy Lane’s platform. No cost – absolutely free! Just click the jewelry pieces that you want to add to your boutique – up to 400 pieces. Boutique owners could even receive commission on self purchases! I was anxious to get started, but was quickly disappointed with the quality of the pieces in comparison to the prices. The value just wasn’t there. My co-worker, who is now my most frequent My Arm Charms customer, and I purchased pieces that needed to be returned due to quality issues. I knew I could do a better job offering quality, stylish pieces for less. I decided to narrow my offerings from fashion jewelry to just fashion bracelets. Everything I had read about starting a business suggested not starting off trying to be a Super Store of some kind. 2. My Arm Charms is such cute name, how did you come up with this? What’s in a name?! I wrote down SEVERAL unrelated words that described what came to mind when I thought about bracelets and came up with many options. Some creative boutique names I considered were She Shackles, Shut the Cuff Up! and Wrist Priss. Ultimately, I decided on My Arm Charms. While not nearly as sassy and edgy as some of the others, I thought it would be fairly easy to remember and felt the 3 words completely described it from the boutique patron’s point of view. 3. What is your vision or mission statement about My Arm Charms? To provide fashionable arm charm for every style situation! Among my frequent customers, ladies refer to My Arm Charm offerings by name. That gets me so excited. The newest addition to the boutique that has my frequent patrons talking is Dahlia. Inspired by the David Yurman cable bracelets that are in style, it offers that similar trendy look for less. It’s not intended to be a knock off; Just a comparable fashion bracelet. I would love to 1) increase exposure and have more women talking about my bracelets by name, 2) create a loyal customer base with the ladies who love fashionable bracelets for their outfits and accessory ensembles and 3) be a favorite ‘site’ seeing online store for women. You know, every women has an online store/site that she frequently visits just to check out what’s new, in hopes of finding yet another ‘must-have’. 4. How do you pick what to sell in your store? Or where is your inspiration coming from? I did initially think to go to other fashion jewelry websites and get the pieces that they have and offer them at lower prices. But that was just sucking the joy and enthusiasm out of it. I select the pieces that seem to practically jump out at me. The pieces in the boutiques are among those that catch my eye immediately. I then place an order to confirm quality. I feel more comfortable knowing the pieces shortcomings, if any. Hey, it’s no secret that fashion jewelry isn’t like a Tiffany bracelet. While we know that it won’t last forever, we do not want it to fall apart or discolor the first time you put it on. I personally wear most of the bracelets that I offer in the store. As my “About Me” page reads, I won’t put anything in the store that I wouldn’t wear myself. My favorites change as new shipments arrive. I’m currently loving my Davina and Dahlia dual – tone, cable bracelets. They are great for stacking. Basketweave is also a favorite of mine. 5. Will you ever sell rings, watches or other jewelry in the future? One of the reasons I decided on the name ‘My Arm Charms’ was to prevent from locking myself into solely selling bracelets and nothing else. I consider anything to be worn on the arm as Arm Charm. I recently added fashion watches. I have a few rings, but haven’t added them to the site yet. I even currently offer flash or metallic tattoos. These can be used to make temporary rings, bracelets or arm cuffs. In the long run, I would also like to offer purses, totes and clutches and maybe even nail jewelry. I am still trying to identify who my market is while trying to offer pieces that speak to the style of the boutique to help brand it. Newly opened, I will have to continue working hard to increase site visitations to see what sells and what doesn’t. 6. Tell us one thing that you really enjoy about running My Arm Charms. Shopping for My Arm Charm and the arrival of my packages! Seriously, I check out the vendor sites at least once a day to scan my Wish List and reevaluate my prospective purchases. I love bracelets. I like how they shine, sparkle and feel in my hand! I cannot wait until I’m at the point of buying larger shipments and having to replenish pieces all the time! LOL. I need boutique shoppers to help feed my habit; the more bracelets I sell, the more I can shop to replenish pieces and select new ones! 7. Are you still looking for quality bloggers to work with? If yes, what criteria do you use to choose one? And please explain how this sponsor program works. I would LOVE to partner with more fashion bloggers. I really enjoy seeing my bracelets styled in the most creative of ways! 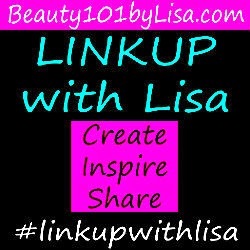 My VIP Blogger program was created to help both My Arm Charms AND the blogger who is promoting the boutique’s bracelets. Bloggers are provided 2 pieces from the boutique each month for 3 months to style with their outfits and photograph themselves wearing them. Readers trust the fashion bloggers they follow and I am grateful for that relationship. We sometimes make purchases based on how the item is presented to us. How the partnership comes into play is that I will then market that blogger across my social media platforms. It’s really a win-win. In selecting bloggers, I am not necessarily looking for impressively high followers/subscribers as much as I am looking for someone who I would feel good about promoting. Additionally, post frequency, the overall polished look of the site and picture quality are variables that are going to help me determine who I would like to partner with. 8. Since you are an expert in this field, could you please show us some essentials for this spring and summer fashions? There’s nothing new under the sun, but it’s always exciting to see what’s in fashion. Fashion pieces this season are of mixed materials. Women are mixing metals and even dual-tones. No more choosing between silver or gold. Where ’em both! Stacking is increasingly more popular. No longer for the Madonna boy-toy types or giggly teenage girls. Per your style situation, stacking pieces can be used to create Classy, Edgy, Casual and even Sophisticated looks. Also gaining popularity are the flash tattoos. These are great for those days when jewelry may not be ideal like at the beach! All the fashion pictures for this post are featuring bracelets from My Arm Charms. Happy to see you again Mahryska!Have a great Monday! You look stunning in blue first of all. Also, your collection of bracelets/cuffs (and purses too, for that matter) is amazing. I am jealousss. Awesome baubles she has there – gotta check it out!! Yes please! She is awesome! Have a great day and talk to you soon! Thanks so much for putting the spotlight on My Arm Charms! It is fabulous to see the boutique’s name in print. I am really excited to meet you this week; to sit down and talk to you face to face and really get to learn a little more about you. Really, when I think about how the whole friendship started and that we will be meeting in person, the big, impersonal world just got a li’l smaller and cozy. Thank you very much dear! Lol! I think Leslie will be happy! 😉 See you soon and have a great day! all that arm candy is so beautiful!! Yes they are! Thank you for stopping by and have a great day! Great Pieces, welcome to the blogging world. Great interview and what beautiful photos and bracelets! 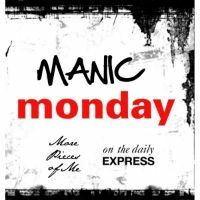 Thanks for linking up with Manic Monday! Loving all of these pieces! Such an awesome interview and thanks so much for sharing it! Love all of your outfits with the jewelry! Happy 4 months! Thank you so much Denise! I love your blog too! Thank you for stopping by and have a great day! Grace you had an awesome interview with Leslie, I enjoyed reading and learning more about Leslies vision and how she does her work, does what she does. I love ALL of the shop pieces on you too.